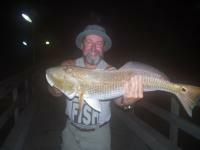 There are plenty of reds being caught... come and get one! 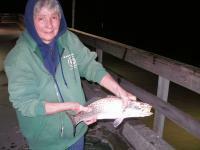 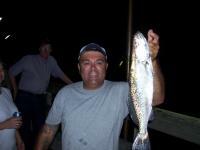 Many nice size trout caught the weekend of Sept 16/17. 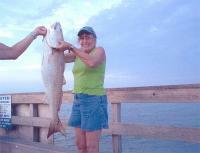 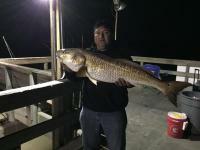 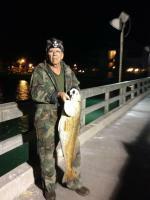 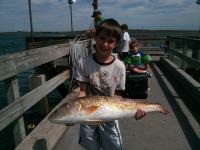 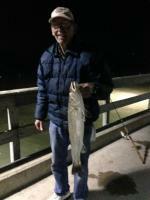 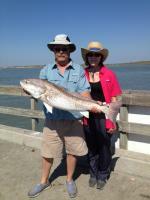 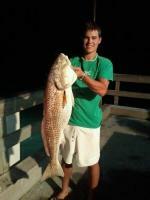 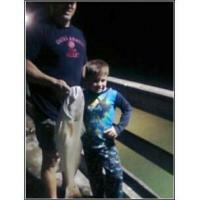 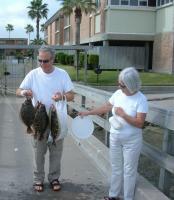 A large red drum and a 22" Flounder caught off the pier! 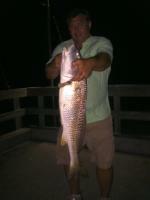 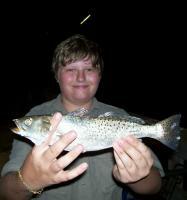 Best Fishing on the Gulf Coast!! 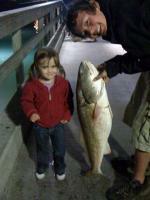 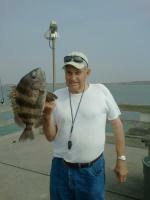 Great Catch from the pier, right here in our 'back yard'. 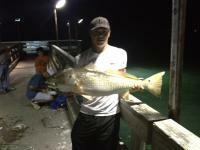 A great week of fishing!! 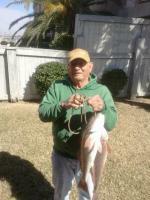 Jan Finke reeled in this nice 21" spotted sea trout Dec. 22nd and Chuck Finke brought in this nice 25" redfish weighing in at about 6lbs.